These blank round wood slices are made of poplar wood material, which is durable and lightweight. Material: poplar wood. 50pcs Wood Pieces. Both sides are sanded to a smooth finish which are ready to paint, signature, decorate, stain, or simply leave plain. Glitter from 99p!! Special Offer buy 3 get 1 free!!!! Color : Dull silver tone. Mixed Antique Bronze Round Buttons. Material : Zinc Alloy. Size : Hole Size:2.5mm( 1/8"). Check out this item at ". Pour the epoxy into mold. Hit epoxy by boiled water,but can't touch the water. Wait until epoxy curing. Simple design can make a perfect craft, easy to use and clean for the silicone material. Material: Silica gel. Our Jute Twine is made of 100%Natural Jute Fibres. 100mtrs Natural Jute Twine in 1-Ply. Material: Wood. Natural mini Wooden Pegs Clothes Pins. Color: As the Picture shows. 100 Pcs/Set x Wooden Pegs. Material: Jute Burlap. Features: Artificial Leaf, Twine Rope, DIY Craft Decor. This is burlap rope decorated with leaves, which can help a lot rustic and natural style. 1 x Burlap Rope(with Rattan). Quantity: 1 Roll. Design:Mixed By Random. You will get mixed buttons by random. So you might not receive all the button as show in the item picture. We are Smart HK. We focusing on providing all kinds of goods in arts and craft. As we would love the opportunity to make things right. If you are not satisfied with the item, you can. EYELET OUTER SIZE APPROX: 8mm - INNER 4mm. PUNCH AND SECURE EYELETS. 50 Brass Rings. Color : Mixed. Material : Wood. Check out this item at ". Size: 13mm 9mm. Wood mini yellow bee stickers,Bug f ridge stickers. Material: Wood. The images are for reference only. 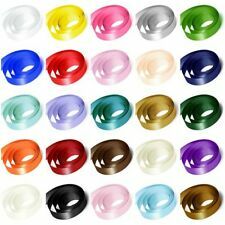 50 PCS peacock tail feathers Craft Supplies. Material: peacock tail feathers. Color: natural color. Quantity: 50 pcs. The images are for reference only. Condition: 100% brand-new Colour: Nature Color Material: Jute Type: Wedding Party Gift Decoration Width: 2MM 1/20 Inch Length: 50Yards 45M Approx Application: This 2mm Wide burlap cord is perfect for card making and scrapbooking. 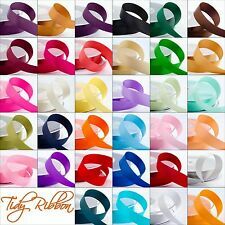 This product can also be used as a sturdy banner cord or to tie a gift bag closed. Adds a natural touch to floral arrangements, gift wrap, wreaths and craft projects of all kinds. 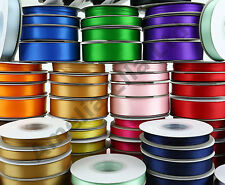 Material:Grosgrain ribbon. Happy ribbon crafting! Quantity:20yard s(you will get 1 yard per style,total 20 styles). If you want to give up your order, kindly inform us to cancel. Buy more, save more.